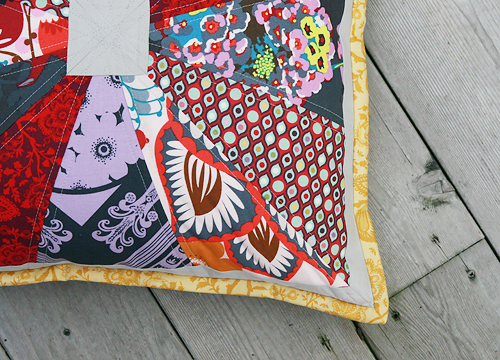 I took a break yesterday from a "secret project" to make a new pillow for my couch. I decided to bring some new colors into the room, which is mostly earth tones. I really love these prints, half from Anna Maria Horner's Loulouthi collection and half from Tula Pink's Parisville collection. The solid is Kona Ash. 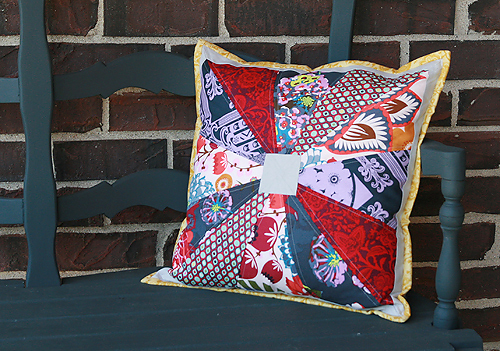 Since I am feeling much more confident in paper piecing after the Summer Sampler Series, I created my own templates for this pillow. I think it turned out quite well! 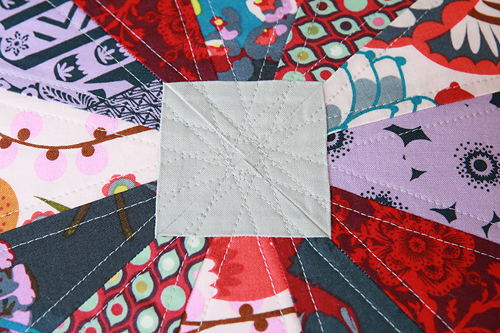 I quilted 1/4" on each side of the seams and I love this little star it created in the center of the pillow. The binding is a yellow print from Parisville. I was going back and forth on that choice, worried it was maybe too bold. But in the end, I think it adds a little extra punch to the pillow. 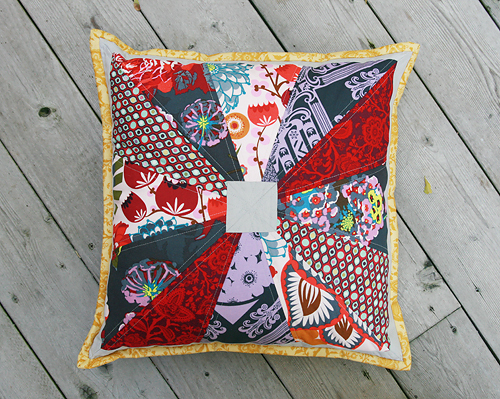 I plan on making one more pillow for the other side of my couch, but I will probably do another design with the same fabrics.